The speed and finesse of the play was such that some spectators at Tuesday’s men’s lacrosse game between Bates and Keene State missed it in real time. Brendan Mullally ’20 of Baltimore, Md. But within 24 hours, after being chosen as the tippity-top, No. 1 play on ESPN SportsCenter‘s phenomenally popular “Top 10,” millions worldwide had seen Bates sophomores Matt Chlastawa of Westfield, Mass., and Brendan Mullally of Baltimore, Md., execute some amazing lax magic. “Filthy” and “dirty” were the most popular modifiers used in public reaction to the play: In the third quarter, with the Bobcats leading 12-2, Chlastawa, Bates’ quick ‘n’ tricky All-America attackman, flipped a no-look, behind-the-back pass over his left shoulder to Mullally, who was drifting in front of the Keene State goal. Matt Chlastawa ’20 of Westfield, Mass. 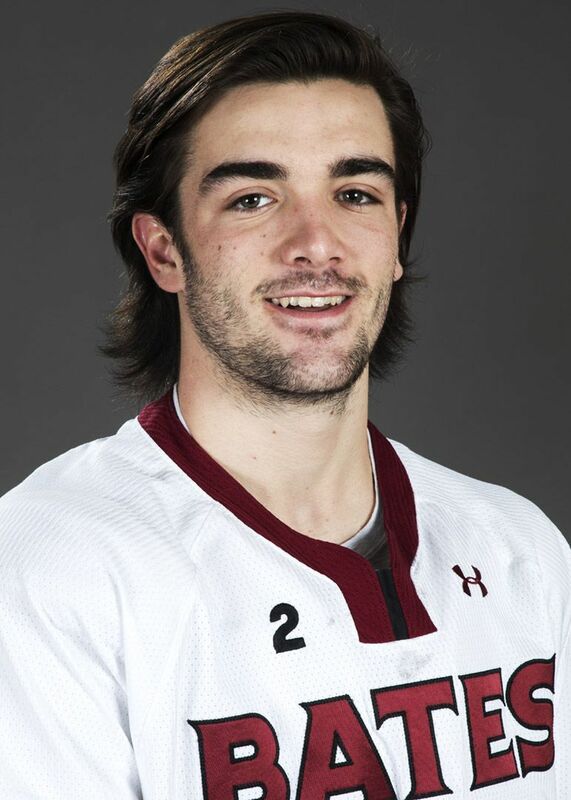 Mullally caught the ball in front of his body, stutter-stepped to maintain his prime position, and, not to be outdone by his teammate, dumped a BTB shot over his left shoulder and past the Owls goalie. Training his video camera on the action, assistant sports information director Aaron Morse of the Bates Communications Office caught the play from the sideline. At 9:57 that night, Morse tweeted a clip of the goal at @SportsCenter. Just in case, Morse stayed up past midnight to watch SportsCenter and the “Top 10” segment. Two other lacrosse plays appeared early on the countdown, which seemed encouraging. Still, hopes of making the list had dwindled to almost nil by the time the No. 1 play appeared. But then, it did. The BatesSports tweet that made Bates the No. 1 “Top Play” on SportsCenter. The Sun Journal was on top of the story within minutes. “How does it feel to be No. 1? 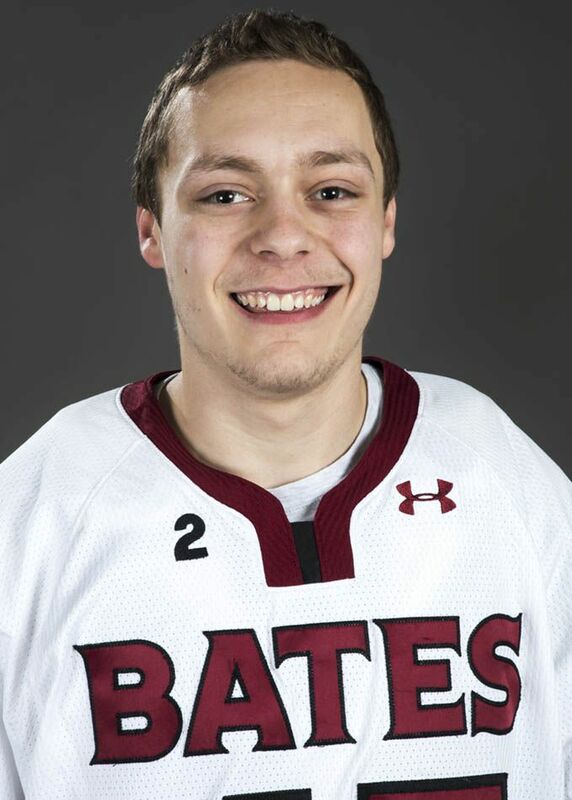 Now, you can ask Bates College lacrosse players Brendan Mullally and Matt Chlastawa, and the rest of the Bobcat community,” wrote sports editor Justin Pelletier. About 12 hours after the play first aired on SportsCenter, the program’s Twitter account, which boasts 35.6 million followers, featured the Bates play. By noon on Friday, the tweet had been liked more than 4,200 times and retweeted over 1,000 times. The reactions have been multi-dimensional. Locals marveled that the No. 1 play from the “Worldwide Leader in Sports” had just quietly occurred in Lewiston. Lax fans of all levels oohed and tipped their caps to the spectacle of the play. Alpha sports media aggregator Barstool Sports used the clip to wax with admiration about how “disrespectful” the goal was.